The special people in your life deserve something truly unforgettable. 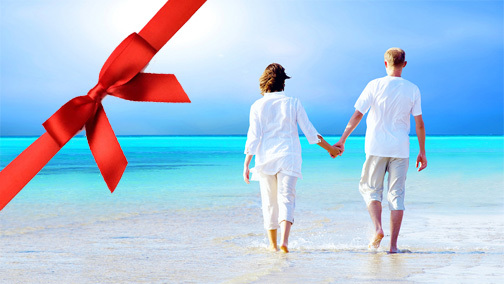 Give the gift of travel and your loved ones will be swooning for days! For the gourmand, explore the Basque Country, a city on par with Paris, home to one of the highest concentrations of Michelin-starred restaurants in the world. For the history buff, step back in time in Eastern Europe, where an ancient monastery or castle is tucked behind every corner. And for you? Tag along for the ride, of course. For the Historian … How about an active adventure from Prague to Vienna. Turn the pages of a history book while riding past miles of vineyards, hilltop monasteries and ancient castles. For the Gourmand … The Basque Country A gourmand’s paradise, this region is home to tasty snacks known as pintxos—similar to tapas—that are ubiquitous at bars throughout this gorgeous city. For the Adventurer … Peru An adventure your loved one will never forget: Discover the Lost City of Machu Picchu, walk the ruins of the Sacred Valley and hike the cloud forests of the Inca Trail. For the Escapist … Sicily The island of Sicily is reserved only for those willing to go the extra mile to get away. Make the journey and you’ll be rewarded with pure indulgence for the senses. For the Hotel Snob … Mallorca Guaranteed to astound even the toughest critics, on this luxury trip you’ll stay at the stylish hotel, an indulgent 17thC manor house turned divine retreat. For the entire Family … Vietnam & Cambodia Give your kids a reason to look up from their smartphones…like exploring the ancient temples of Angkor Wat and discovering secret tunnels in Vietnam on an across-the-world adventure. For the Worldly … India This journey will take you from the hustle and bustle of Delhi’s vibrant and colourful streets, to the spiritual hub of Varanasi, one of the oldest continuously inhabited cities in the world, to the holy waters of the Ganges River for a private Hindu ritual of worship. For the Golf-fanatic … Augusta, Georgia, USA This holiday season, give your budding Jack Nicklaus the roar of the crowd and the unmatched energy of final Sunday at Augusta National. For the Animal Lover … Africa On this adventure you and your loved one will come face-to-face with elephants, rhinos and lions! Have something else in mind? Just say the word – we help with worldwide destinations. Contact Donna Salerno Travel today to plan your customized trip. Maximize your time and experiences.